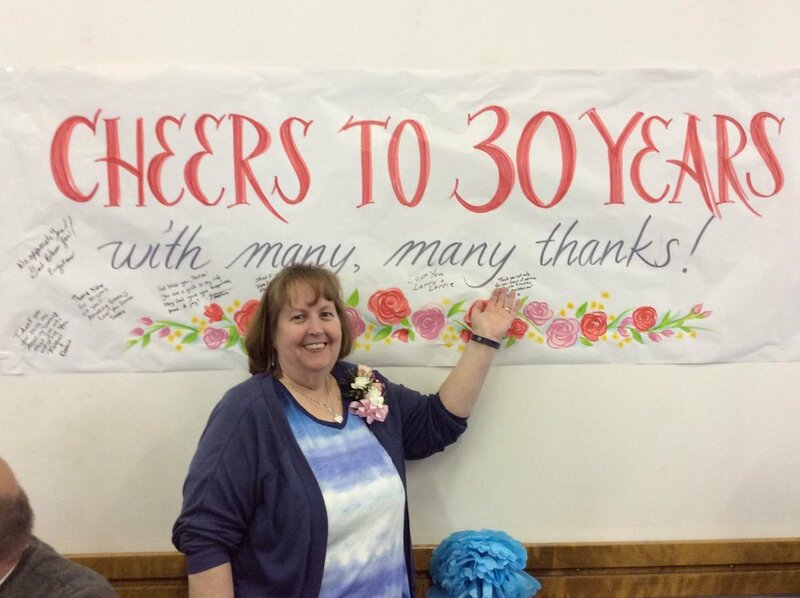 Denise Rodi began a new job as secretary of Holy Redeemer Lutheran Church, which became Amazing Grace in 1998. 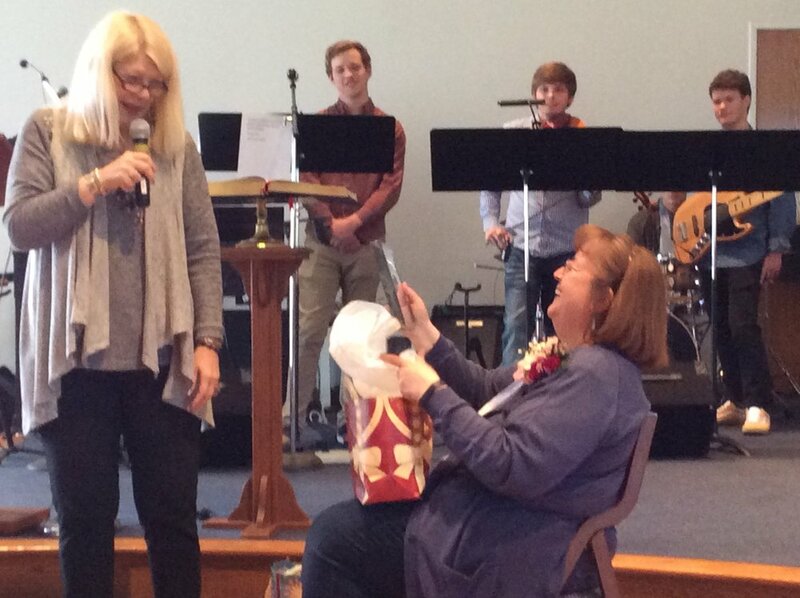 On April 29, 2018 a surprise celebration was held in her honor by the members of Amazing Grace. Everything from a special blessing, power point presentation and video clips from her family and her church family, special prayers, gifts, beautiful music, to a delicious luncheon. Thank you from the bottom of of my heart to everyone for the wonderful surprise party. For the flowers, special prayer, blessing, gifts, the luncheon (which was amazing), to those who made the food, set up, cleaned up etc. Yes! I was totally surprised! I thank you for being a special part of my life for the past 30 years! I love you all. Denise Rodi. Meetings of the Alzheimer/Dementia Support Group are held in the Narthex on the second Tuesday of each month. The next date is May 9th at 7:00 PM. hand lotion. etc. (all small sizes). We will be doing this again in the near future. Donations accepted anytime!